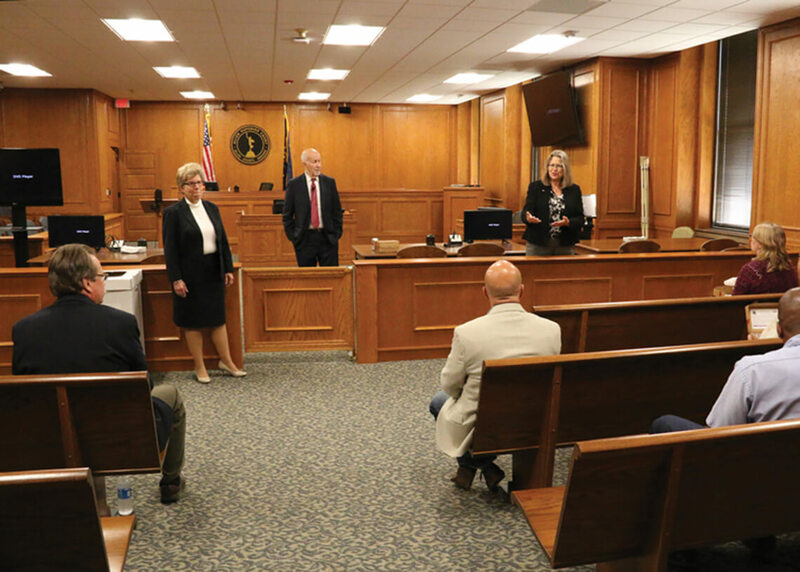 Grinsfelder Associates was pleased to work with Judges Nancy Boyer, Stanley Levine, and Frances Gull on the expansion and renovation of Courtroom 107 in the Allen County Courthouse. Find out more about this important project for Allen County’s judicial system here. Grinsfelder Associates Architects was pleased to be part of the grand opening ceremony of the new American Landmaster facility in Columbia City, Indiana. Visit their new showroom to see their collection of available UTVs and power sport vehicles. 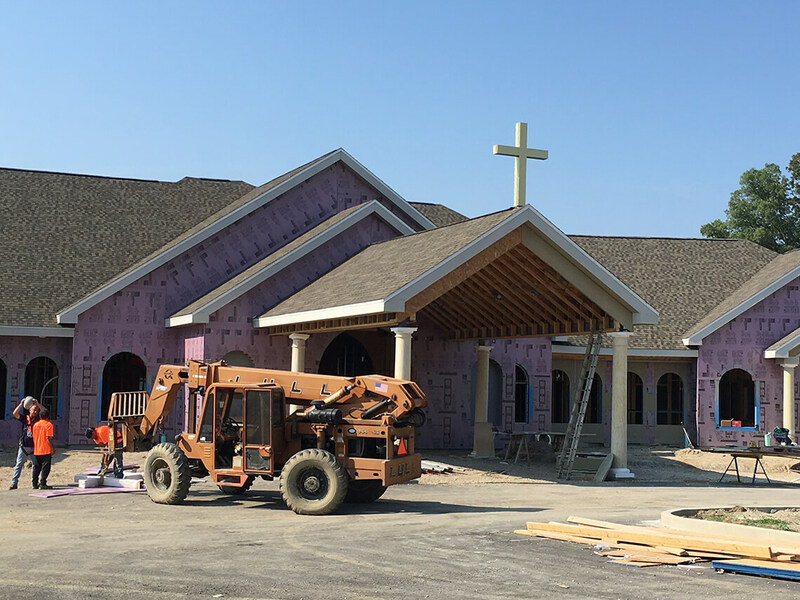 The Divine Mercy Funeral Home at the Catholic Cemetery of the Fort Wayne – South Bend Diocese is now open! Please visit the new facility to preplan for your funeral and burial needs. Ed Welling is very pleased to have been a part of the much-needed renovation and expansion project for the first floor courtroom of the Allen Superior Court, located within the Allen County Courthouse. The courtroom has doubled in size while also providing accessibility for citizens with disabilities. In addition, the courtroom has received numerous technological upgrades while maintaining the historical integrity of the building. Please read more about the renovated and expanded facility in the link below. 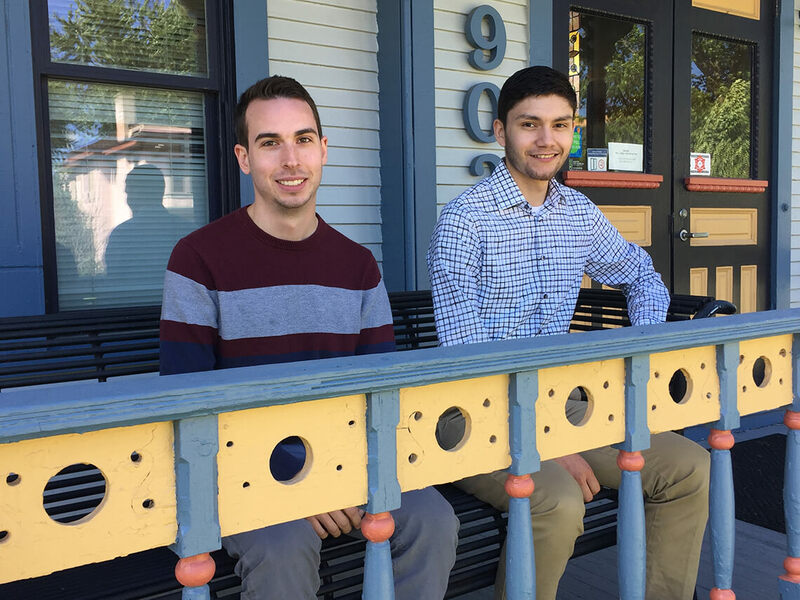 Grinsfelder Associates would like to welcome Kevin O’Brien and Jacob Chavez to our office. They will be interning with us for the summer. Kevin recently graduated with a Bachelor of Architecture from Andrews University; he will be returning this fall to complete his Masters Degree. Jacob will be entering his fourth year of studies at Ball State University this fall in the College of Architecture and Planning. 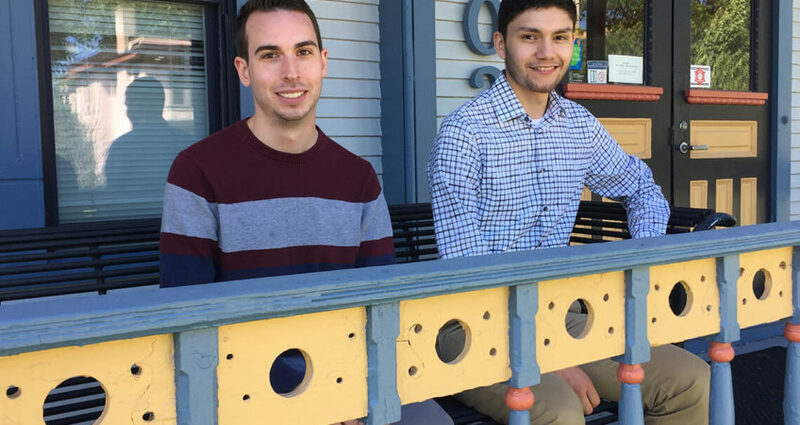 We’re thrilled to have Kevin and Jacob join our team and look forward to a fun-filled summer! We’re pleased to announce our 7th annual custom Holiday Card! 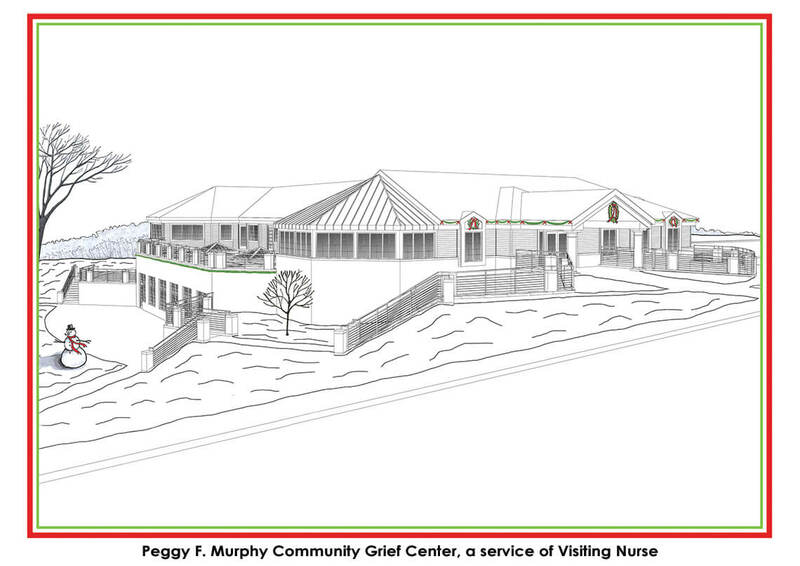 This year’s card features the new Peggy F. Murphy Community Grief Center at Visiting Nurse. For more than 125 years, Visiting Nurse has been providing healthcare to those in our community affected by serious illness. Grinsfelder Associates Architects was pleased to work with Visiting Nurse on the design and construction of the new Peggy F. Murphy Community Grief Center. 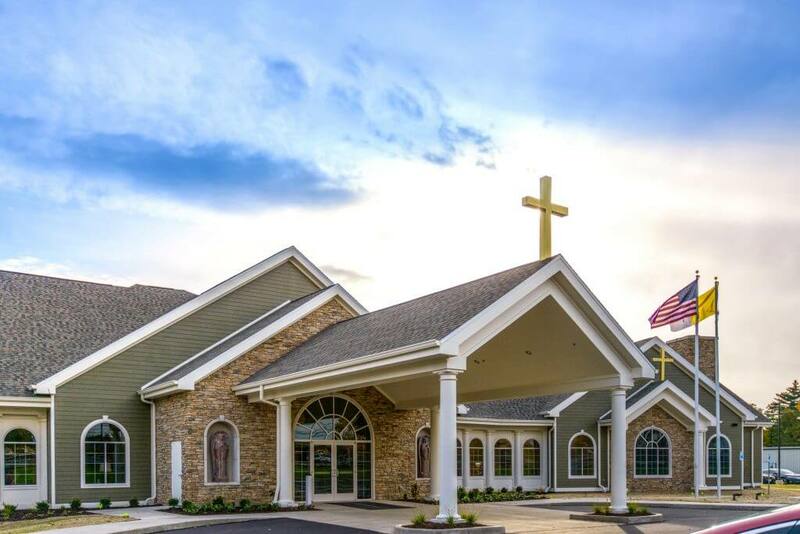 Located on a site immediately adjacent to the Visiting Nurse Hospice Home, the building and site were designed with the goal of developing a recognizable Visiting Nurse campus. In addition to providing space for both individual and group counseling, the grief center includes two interior water features, a sunroom, an accessible vegetated green roof, office space, two kitchens, and two large meeting rooms. To see some of our previous custom Holiday Cards, visit our Holiday Card page.